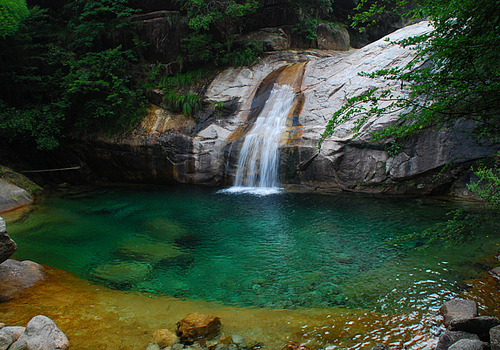 Anhui Province, located in eastern China, crosses the basins of the Yangtze and Huaihe rivers. It covers an area of nearly 140,000 square kilometers and has a population of 68 million people. Among the many tourist areas in the province, China.org.cn selects the top 10 most famous and popular ones for travelers. Located in the southwest of Fengyang County, the mausoleum is the tomb of the parents of Zhu Yuanzhang, the first Emperor of the Ming Dynasty (1368-1644). Construction of the mausoleum began in 1369 and was completed 14 years later. The mausoleum is surrounded by three walls known as King, Brick and Earth. 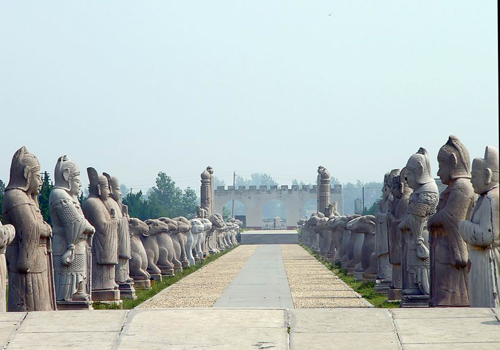 Along the walls there are many sites such as the main hall, the golden gate, Huangtang Bridge, and many stone sculptures. The tombstone of the mausoleum is about seven meters high and two meters wide, ranking first among all the emperors' mausoleums in China and a key cultural relic. Getting there: bus from Fengyang County. Among the many scenic spots in eastern China's Anhui Province, China.org.cn selects the top 10 most famous and popular destinations for travelers.